Trick or treat! 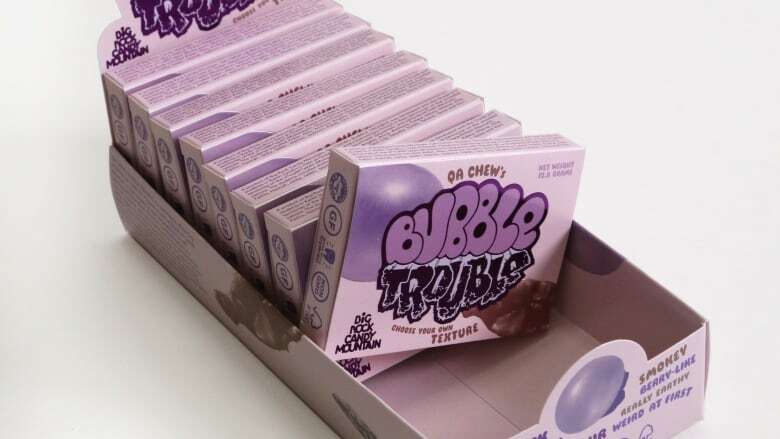 QA Chew's Bubble Trouble will be handed out in East Vancouver Halloween night. 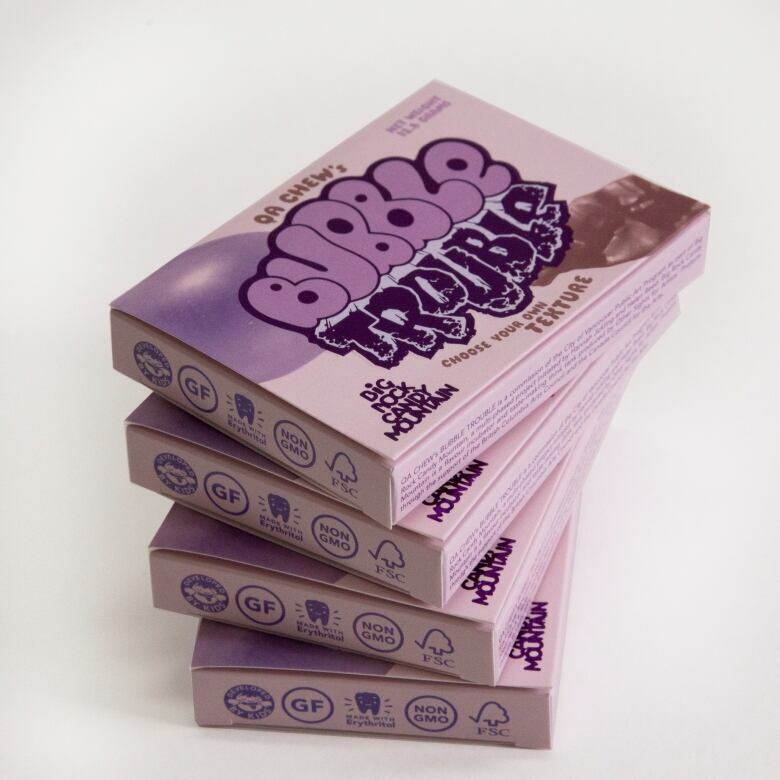 This year, Vancouver trick-or-treaters could get a pack of gum that's unlike anything in the history of Halloween: QA Chew Bubble Trouble, an all-new, super-exclusive candy developed and designed by kids, for kids — with some grown-up help courtesy of Big Rock Candy Mountain (a.k.a. local artist duo Helen Reed and Hannah Jickling). On Halloween night, some 3,000 boxes will be handed out in East Vancouver, dropped in loot bags by families in Mount Pleasant, Commercial Drive and Hastings-Sunrise neighbourhoods. If you can get to Western Front between 5 and 8 that night, it can be scored there, too (the artist-run centre serves as the gum's main distribution hub). Yes, it's a real bubble gum. A real, and really strange, bubble gum. 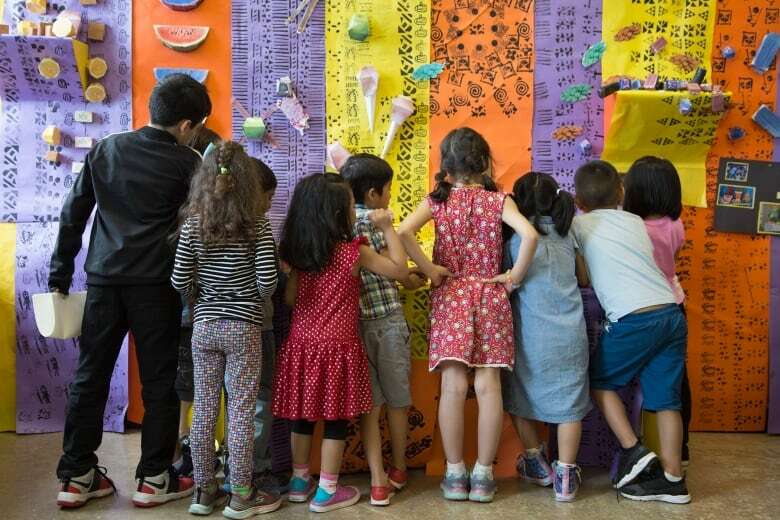 But QA Chew's Bubble Trouble is also a work of art — commissioned by the City of Vancouver, and the culmination of a year's worth of research by a Grade 6/7 class at Queen Alexandra Elementary School. 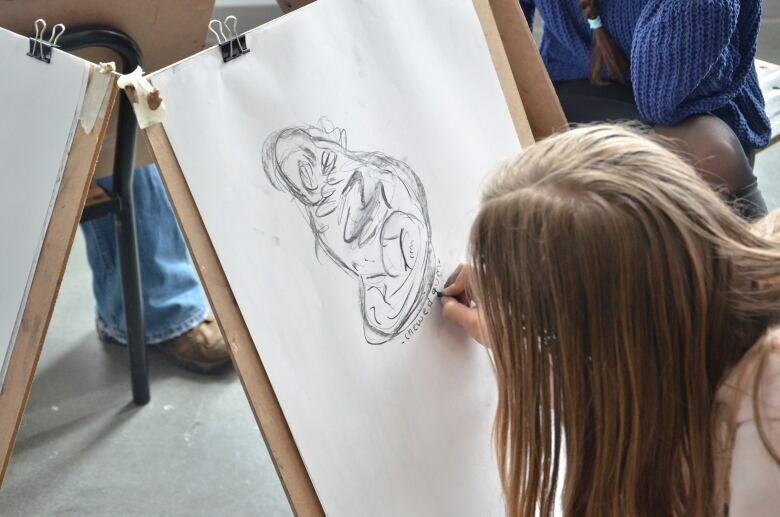 In workshops with local artists and students from Emily Carr University, kids did everything from "gum blob" life drawing to writing gum comics to playing gum dress-up. On the product development side, they tested countless varieties of gum, evaluating them for criteria including texture, flavour profile and longevity. They even worked with a visiting food scientist who gave them some gum-making fundamentals — how flavour works on a chemical level and how factors like colour and consistency can influence a person's senses. After a student vote on the formula, their gum was sent to a manufacturer in California, ultimately begetting the packets that will be hitting the streets on Oct. 31. But because this year-long investigation was, at its juicy centre, an art project, the class also researched a variety of questions that gum just happens to raise. More on that in a moment, but first, what does the art taste like? Some kids find it "smoky, berry-like, really earthy, weird at first" — with a "purple nurple colour" and notes of "Hello Kitty bubble bath." That's what it says on the package anyway, an eye-popping box containing two textural takes on the same product: an ordinary synthetic bubble gum and a "rainforest certified" chicle from Guatemala, both flavoured with Bubble Trouble's mysterious essence, and best enjoyed when mixed together. Apparently the combo produces an even more unusual taste sensation. "I would say it tastes something like an abstract Gatorade," says Reed. "Like generic fruity," adds Jickling. "But not totally fruity," Reed says. 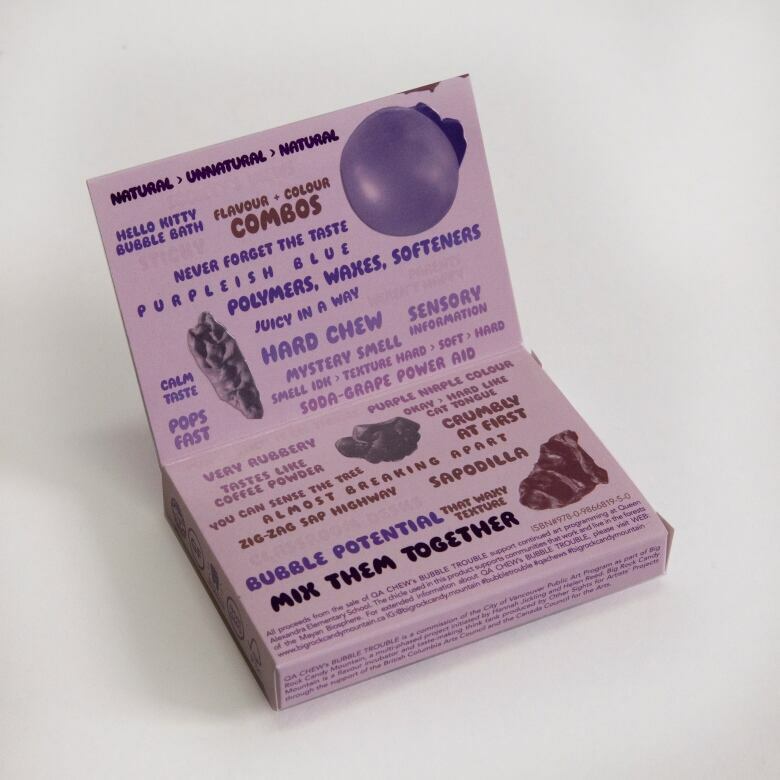 The duo has been collaborating since 2006, though bubblegum and other confectionery pursuits are a more recent point of inquiry. In 2015, they arrived at the Queen Alexandra Elementary School for an artist residency, there to lead workshops with a class of students. They call the enterprise Big Rock Candy Mountain, after the old-timey folk song — a tune about a high-fructose fantasyland where the rules (in this case, grown-up rules) don't apply. Their first project, with a Grade 3/4 class, was all about chocolate, and with support from local partners including East Van Roasters, it culminated with the production of the kids' own "bean-to-bar" artist multiple, SOUR vs. SOUR. This time around, the focus was gum. Why gum? 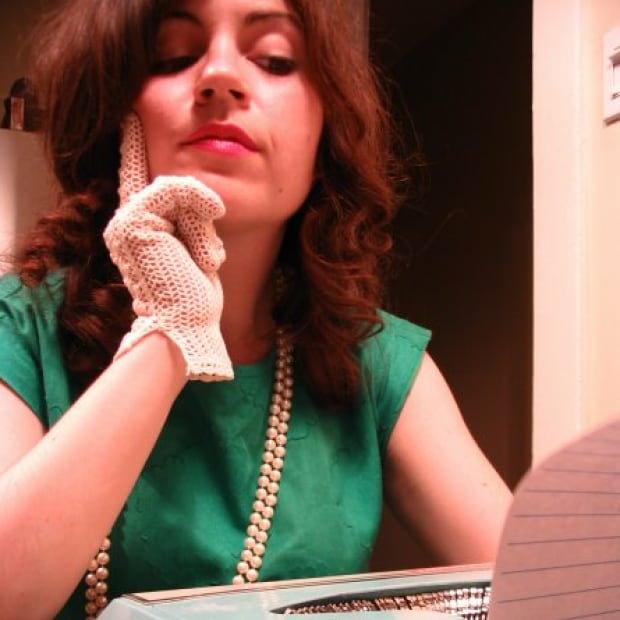 "I would say because it's a menace," says Jickling, and though she's laughing, she definitely means it. Gum is messy — it sticks to shoes, desks, hair. It's noisy — snapping when chewed and/or popped. In schools, including Queen Alexandra, it's a banned substance. "Gum became the entry point to talking about a lot of different things," says Reed, and candy in general, they say, is the perfect "in" to discuss a variety of topics with a classroom — everything from children's rights to economics. "There's automatic excitement that happens around all this stuff, and it's nice to be able to harness that a little bit," she says. The hysteria's easy to understand. Beyond being delicious, Reed puts it this way: "Candy is something that's been culturally defined as interesting to children." It's marketed almost exclusively to them. And whether they're being spoiled with a giant allowance or scrounging coins from behind couch cushions, it's the one thing that pretty much every kid can afford to buy at some point — and as a G-rated object of desire, it's also just a smidge taboo, especially in an era of childhood obesity and cafeteria junk food bans. "It's something that the kids are swimming in and kind of interested in, and also had a lot of critical opinions about," says Reed. "It also points to, I think, questions about kids as consumers and then where their agency is, and also thinking a lot about child and adult dynamics," says Jickling. "If you think about kids and parents or kids and teachers, there's so much negotiation that happens around candy or 'treat material,' so it's very rich territory." "I think a big part of Big Rock Candy Mountain is that candy culture is directed at children, and yet they're typically perceived to have little agency within that," says Reed. As for why they wanted to produce an actual bubblegum as part of an art project, they say it's a way of getting everyone outside the school "chewing" on the same ideas, too. Says Reed: "This product is a way to kind of share some of the research we've been doing with a much broader audience." "We conceived of the product development process as an artistic process," says Reed, "and we also looked at a bunch of artists who were thinking about flavour, sensory research, this kind of stuff" — ideas that the kids would have discussed in their weekly workshops. Some items from the class will also be on display, notably the kids' research kits — a.k.a. 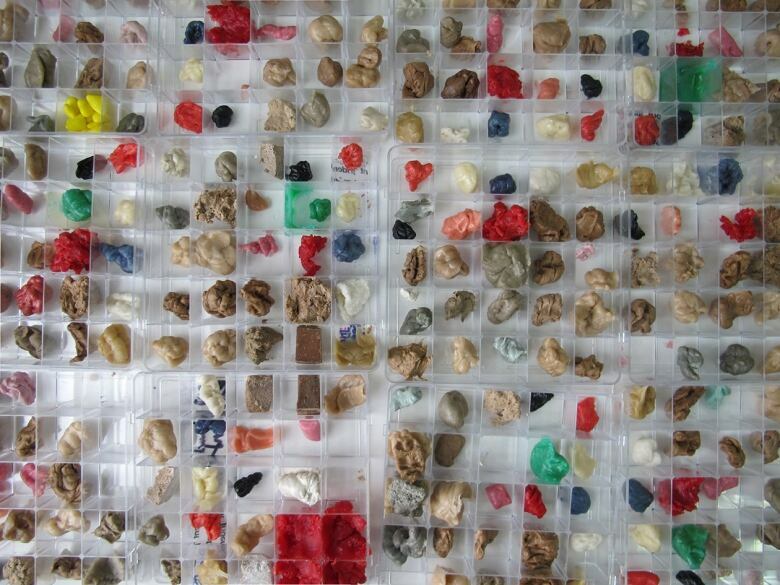 every wad they chewed during their year-long taste test. "Helen calls them an attendance record," Jickling laughs. "As a collection, they're really beautiful because it's all different shapes, all different colours." Packs of QA Chew's Bubble Trouble will be on sale at the gallery during the exhibition, with proceeds supporting art programs at the school, and according to Jickling, "once it makes its way through the trick-or-treating networks on Halloween," Big Rock Candy Mountain will be looking at getting it into shops near Queen Alexandra, keeping the price-point affordable for students.